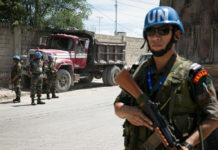 The fund’s establishment was a remarkable act of international solidarity initiated by the late Venezuelan President Hugo Chavez, and it was bitterly opposed by Washington. 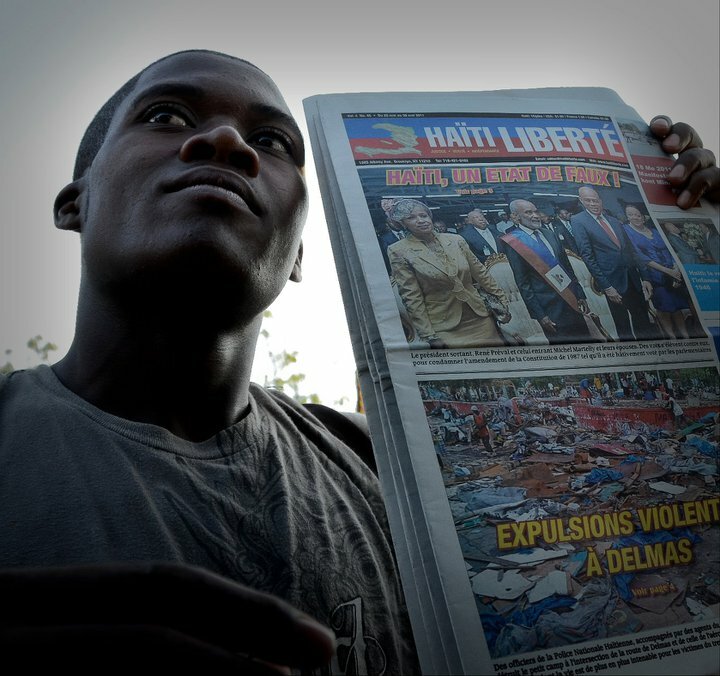 Under an accord signed in 2006 but not finalized and implemented until 2008, Venezuela agreed to provide Haiti with cheap petroleum products – some 20,000 barrels a day – when oil was selling for about $100 per barrel. 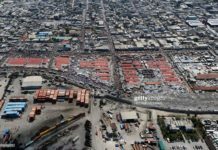 Furthermore, Haiti only had to pay 60% of its oil bill to Venezuela up front. 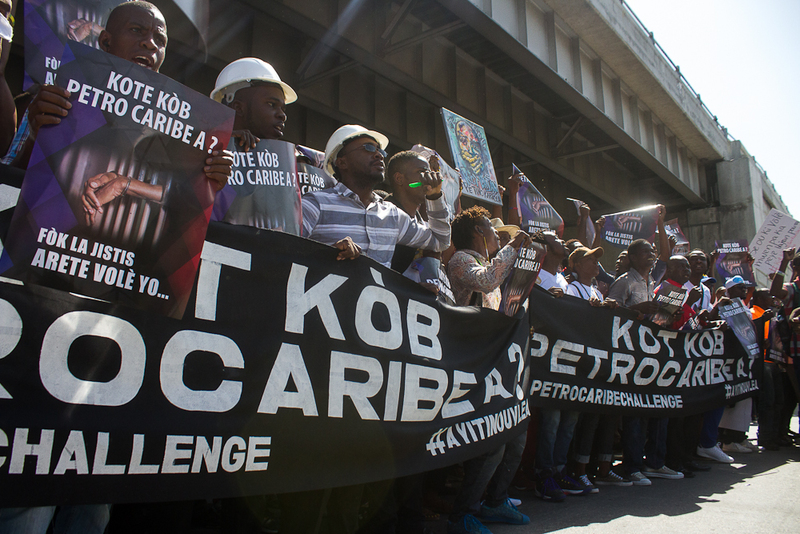 The remaining 40% of petroleum revenues went into the PetroCaribe Fund, repayable to Venezuela after 25 years at only 1% interest. 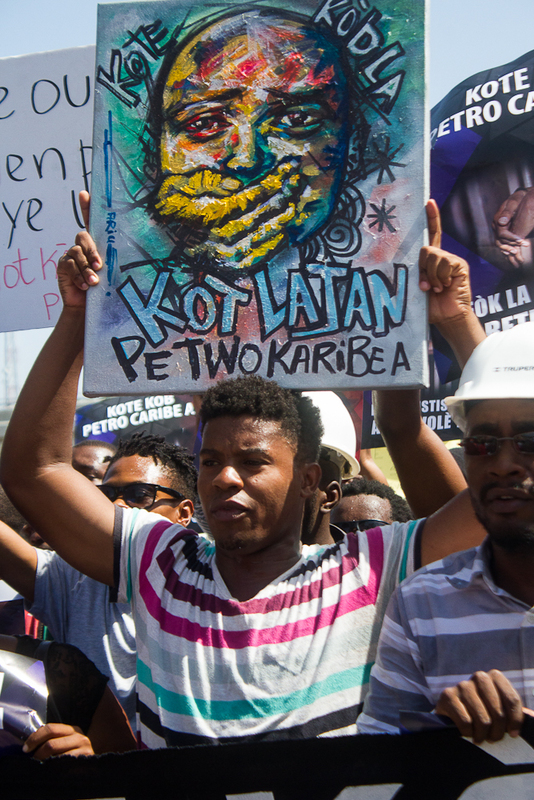 In the short space of five years from May 2011 to January 2016, President Martelly, with different prime ministers, burned through about $1.256 billion (74% of all the money the Haitian government over a decade took from the PetroCaribe Fund) to finance projects which were either not finished or not real. 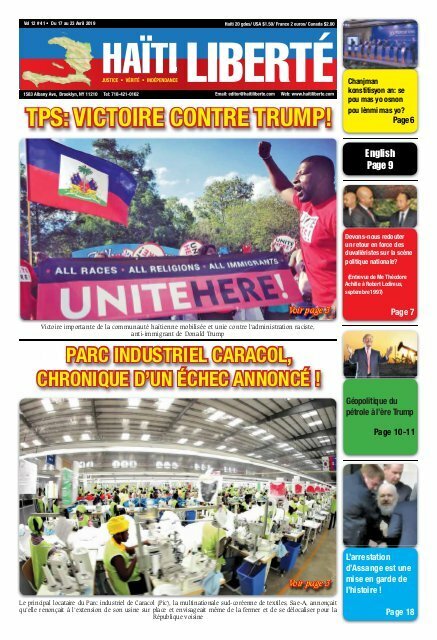 Martelly’s close friend and longest-serving Prime Minister Laurent Lamothe himself declared, before the Haitian people chased him from office in December 2014, that 94% of his government’s projects were financed by the PetroCaribe Fund. 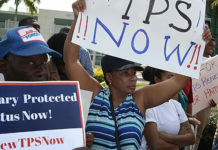 Today, the Haitian people are again rising up to demand a reckoning after the governments of Martelly and Moïse, in cahoots with Washington, France, and Canada, fronted by the IMF, try to take back the oil and development wealth that the Venezuelan people gave to Haiti, thanks to Hugo Chavez’s internationalist spirit. 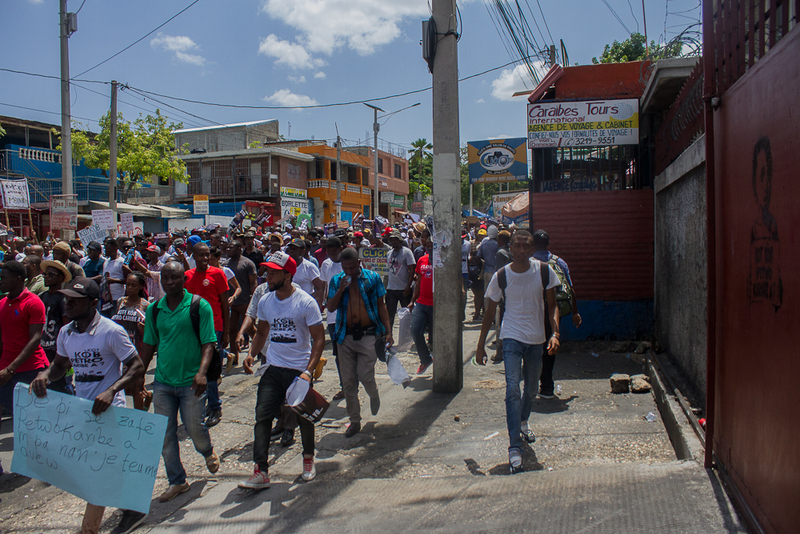 Demonstrations are growing and spreading in Haiti, Montreal, and New York. A “Petro-demo” will take place in Miami on Sep. 15. 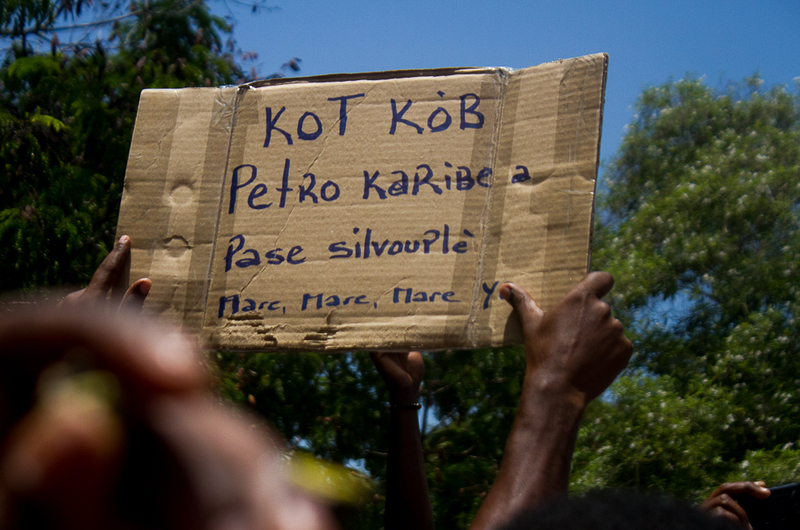 Demonstrators know that they will never get the truth about or justice for the theft of PetroCaribe funds from the Moïse government. That would be asking a thief to arrest himself.